Creating a great itinerary on a limited budget that suits your travel interests and time is definitely a challenge, but this becomes easy when you allot enough time for it. Also, this is one of the best and fun things I enjoy in traveling. In creating your own itinerary, you will learn about the country while researching! Also, if you have the energy and the passion to have a Do-it-yourself trip, it is better since you can mingle with the locals and know more about their way of living. Time /Schedule– how many days do you have in Korea? If you only have 3 days, then better choose the top 3 destinations you want to visit. Also, make sure that the destinations that you will visit are open on the day you plan to go there. Some palaces in Seoul are closed during Sundays and/or Mondays, so make sure to plot them on other days instead. 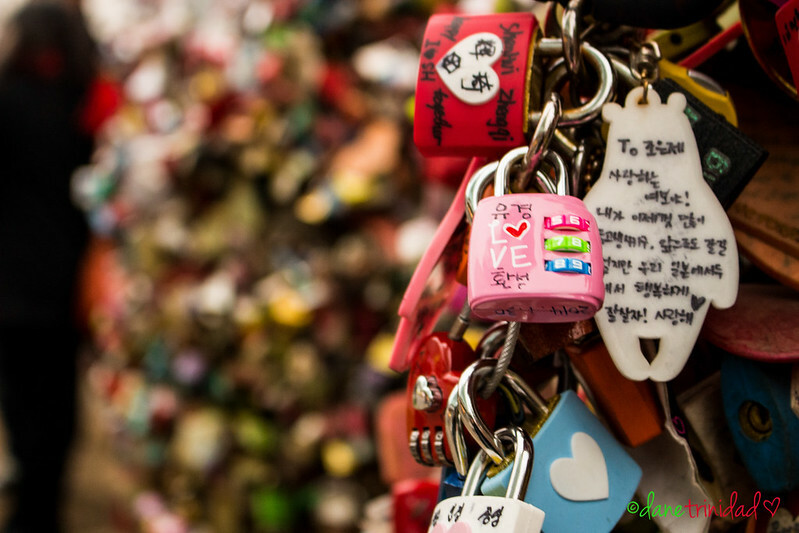 Interests– why did you go to Korea? Is it for culture & history? foodtrip?shopping ?party in Gangnam? photography? or simply just to have the time of your life? This question is important because the “theme” that you will choose will be the main priority for your itinerary. Budget – how much can you spend for your whole trip (inclusive of hostel (in our case, we stayed in Myeongdong Global hostel) , transpo, food, and entrance fees?) Just to give an idea, for our Korea Trip, we just spent around 15,000 pesos per person for 5 days. Super cool right? People– who are you with in this travel?If you are with your friends, then it is ok to choose destinations that require lots of walking and adventure. But if you are with your parents, then better choose destinations that will not require too much walking (or if you have lots of money, then you can avail of arranged tours) since their knees are quite wobbly and easy to get tired already. Warning, Seoul has lots and lots of stairs and their subways are steep, and not all stations have elevator, so be prepared physically. Note: Itineraries should also be flexible. You cannot predict all of the things that might happen on your trip, or just in case a destination is closed, then you will need to adjust your schedule so as not to waste time. TIP: As much as possible, take bookings that don’t require money that is non-refundable. This will lower your risks of money wasted if something happens like reschedule or delay of your flight, or simply a last minute realization that you want to visit other destinations aside from the one you planned.There are several hostels that accept email booking only; For other destinations like Palace or Everland, you can easily and simply buy your ticket on the day itself. After considering these factors, you can already start to create your own itinerary! 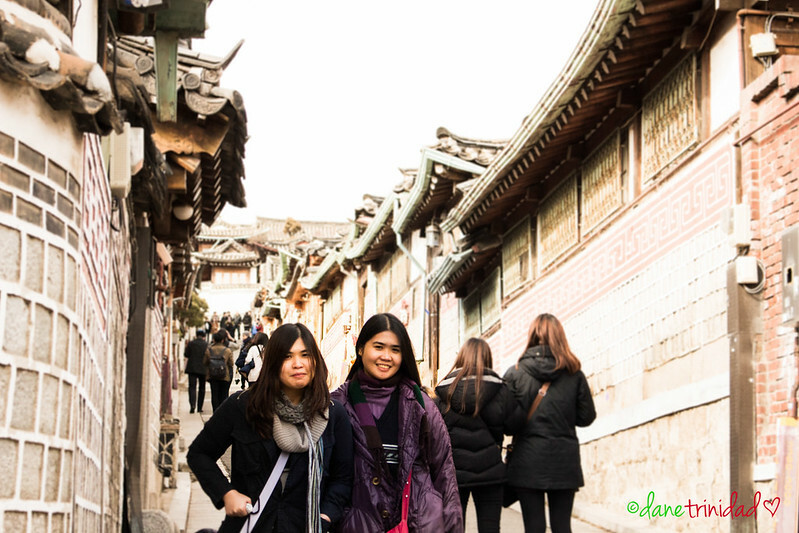 I created ours by combining culture, foodtrip, photography, and shopping in the itinerary. So it’s a little of everything. Our ALL-IN Expenses is a total of 19,800 pesos per person ( inclusive of Cebu Pacific roundtrip ticket, Myeongdong Global hostel, transpo, food ( which we splurged on a bit since we are foodies)). The only thing that I didn’t include here is the shopping cost since it’s a relative cost depending upon the person. But to give you an idea, beauty products in Korea are really cheap! Face Shop products are on average 20-30% off cheaper, and if you are lucky, then it can go up to 50% or more! Etude House products are around 10-20% off . Aside from it, you can also buy other brands in Korea that are very good like Innisfree ( Volcanic Clay Mask), and Laneige ( Water Sleeping Pack). The good thing in Seoul stores is that they have lots of freebies ( masks, samplers) when you buy products from them. Dog costumes are also a normal thing being sold in the streets of Seoul. I also highly recommend you to buy eyeglasses and contact lens in Korea! It is really cheap! I was able to buy my leopard printed plastic eyeglasses for only 15,000 won (~630 pesos). We’re planning to go there in February, just wanna ask how’s the weather when you visited Seoul, I actually did a research, is it really that bad? Thanks! Hi Cat! It shouldn’t be that bad. It will be cold definitely. The chance of rain is higher than it is on December or January. Better to follow accuweather to get nearly correct forecast. Nope, this is almost summer, and it might even be rainy at times. No more cherry blossoms as well. Hi do you have an itinerary for 7 days? Also, do you know where i could get cheap tickets to either Everland or Lotte World? Thanks! 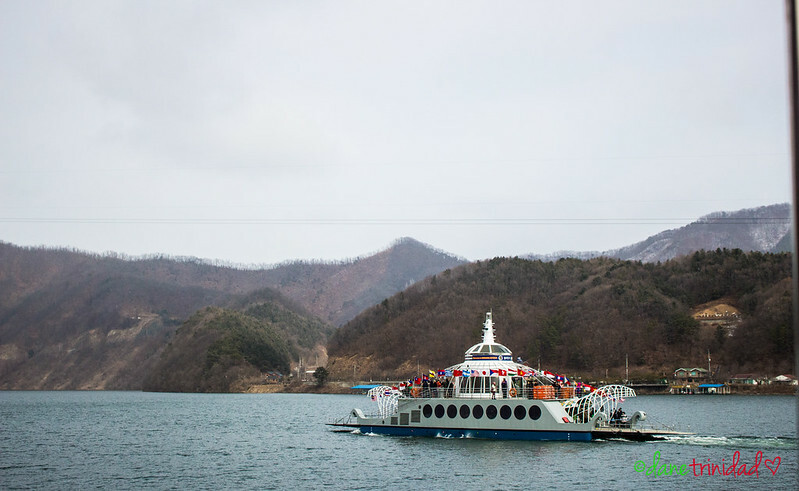 hi, i am planning to go for a one week korean tour, and planning to do it myself, i saw your itinerary and it is mainly on seoul korea for 5 days, i am planning to take a 7 day tour, do you think i can spend the two days tour at jeju island, is there any permit needed to secure to go there, and do u have any idea how much would it cost me to take a jeju side trip? Yes, you can spend your 2 days there. I haven’t been there though but I know a few friends who had 2-3 day trip. As far as I know, Jeju doesn’t require any Korean visa at all. Hi, Thank you for a very helpful and informative tips. Im actually travelling alone just to experience being independent. I’ll be travelling from Dubai by the way. Is it fine to walk at alone at night? I’ll be staying in Myeong-dong. Yes, it’s safe. I’ve been there 3 times and I didn’t experience anything unusual in the past.